What if your blog posts looked like pins or boards from Pinterest? And what if I told you this is possible without any custom code? Yes! We’ve introduced the Business Card Skin in the Posts widget of the Ultimate Addons for Elementor! You now have the following Skins or post templates within the Posts widget of UAE! 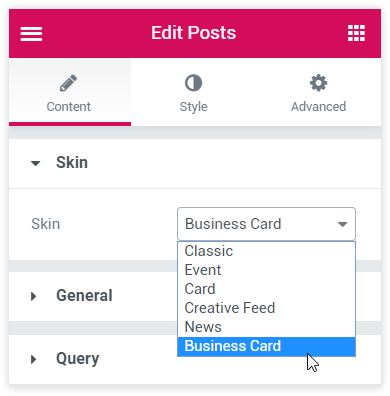 The Business Card skin isn’t a new widget – but just another option that we’ve added in the already existing Posts widget. You can take a look at how the settings look in panel. The best part here is that you can use this skin with your favorite layout like the Grid, Carousel, Masonry or Featured. Take a look at a few posts we displayed with a Business Card skin within our demonstrations for the Posts widget. Skins are nothing but post templates built for Elementor. Needless to say, the current ready-made templates within the Posts widget are being loved by many. And, today we’ve taken it a step ahead with the Business Card post skin! Add a separator, manage background color, etc. Add hover effects for the image, background, etc. of the card. 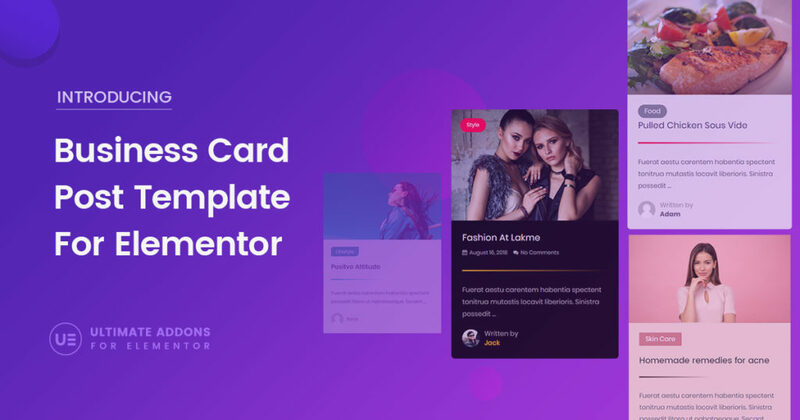 Wish to get your posts look like these pretty cards on your website? Update the Ultimate Addons for Elementor to version 1.10.1 and fetch the Posts widget in which you will find Business Card under Skins. Let us know how you like this in the comments below. You can also write to us if you have any further suggestions or need help with anything.